Mormons, the members of the church residing in Utah, US, have a mantra, “in the world, but not of the world”, which they apply to everything, including the way they name their children. They pick standard names but tweak the spelling a bit to make it exclusive to them. However, not every Mormon parent likes invented or combination names for their children. Some choose Biblical names or names derived from the stories or chapters of the Book of Mormon, a religious text of the Latter Day Saints. Being a Mormon, it can be a bit difficult to pick a name that not just honors the heritage, but also makes the child proud to bear it. But we, at MomJunction, have handpicked 50 of the best Mormon names inspired by the prominent leaders in the Church history and canonized Mormon scriptures to get you started. Take a look! Despite being around for more than half a century, Aaron is still an attractive and timeless choice for boys. The gentle name has Hebrew origins and means ‘high mountain or exalted’. In the Bible, Aaron was the name of Moses’ brother. Alma may be a female name, but it’s used primarily for males among the Mormons. The name is also associated with great missionaries and prophet in the book of Mormon. Alma is a Latin name, meaning ‘nourishing’. Ammon, a variation of the name Amon, is featured in the Book of Mormon. This Celtic form of Edmund with an upbeat feel has a great chance of competing with Damon and Aidan. Short and sweet name Amos is associated with the father and son who dedicated themselves to protect the ‘holy things’. This Hebrew name, meaning ‘carried by God’, was used extensively during the Puritan times but went flat in the modern era. But it has now begun to move up the list and is currently one of the top 700 names for baby boys. Bart, the short form of the name Bartholomew, has now become a permanent property, not just of the mischievous Simpson kid, but also of the Mormons. It means ‘son of the Earth’. Beckette, a handsome name with a rich sound, is the Mormon form of the name Beckett and means ‘bee cottage’. The original is a hot favorite among celebs, and going by the popularity of Beckette, even the latter can follow suit. Since most of the Mormons are descendants of British, traditional English names are quite popular here. English name Braxton, meaning ‘Brock’s settlement’, has been climbing steadily ever since it featured on the baby name charts in the year 1985. Brigham Young, the Mormon leader, inspired the people of Utah to use this name. He’s renowned as the second president of The Church of Jesus Christ of Latter-day Saints. Brigham means ‘little village near the bridge’. Cohyn, a variant of the name Cohen, meaning ‘priest’ is a royal name, not just among Jews, but also with the Mormons. Just like several other names in the list, even Cohyn began as the last name, but is now gaining traction as a first name. Dallin is one of the most used names among Mormon boys. Its namesake is Dallin H. Oaks, a member of the LDS church and a former president of BYU. The name Dallin means ‘from the valley’. Elijah is the name of the prophet in the Old Testament who went to Paradise in a fiery chariot. With more than 10,000 parents selecting this name for their children, Elijah has become one of the top ten names in the Social Security Administration list. Elijah means ‘Yahweh is God’. Gideon was the name of the leader of the Church and archenemy of the wicked king Noah. The name has Hebrew origins, with multiple meanings such as ‘feller’, ‘hewer’, and ‘mighty warrior’. The moniker has risen in popularity in the last decade and is one of the top 300 baby boy names today. Unlike the brethren Elijah and Isaac, Isaiah is not popular in the rest of the world, except Utah, of course. And it’s solely because of its extensive usage in Utah, Isiah ranks so high in America. Isaiah means ‘salvation of the Lord’. This Biblical name, meaning ‘supplanter’ has been the top ten baby boy name for decades, and there’s no way it is going down the list. This Old Testament name, which was revived in the 60s by the TV Westerns, is still an appealing option, especially in Utah. Jared means ‘he descends’. This Biblical name, belonging to one of the ‘mighty men’ of King David, was taken up by the Puritans in the 16th century. And now, it’s used by practicing Christians all over the world. Joel means ‘Jehovah is his God’. John, meaning ‘God is gracious’, holds the honor of being the most popular Christian baby boy name for over 400 years. Its namesake is John Taylor, one of the founding members of The Church of Jesus Christ of Latter-day Saints. The moniker Joseph holds a special place for the Mormons because it’s associated with Joseph Smit, the founder of the Latter Day Saint movement. Joseph means ‘Jehovah increases’. This Old English name, meaning ‘settlement with a leek garden’, is at an all-time high in the US, holding the 544th spot. Its most famous bearer is Layton Williams, the English actor. Just like oak, even the name Oakley is steady and has deeper roots. This moniker was on the rise for both boys and girls, especially in the US, but rose sharply for boys in the year 2016. The name Oakley means ‘wood clearing or oak wood’. Oliver H. P. Cowdery was an important participant in the Latter Day Saint movement, along with Joseph Smith. This good-natured, elegant, and stylish name means ‘olive tree’. Orson, a Latin name, meaning ‘bear cub’ is so unique and rarely used that it hasn’t featured on the popular name list since the year 1901. This adorable name was also borne by several LDS apostles during the pioneer times. Orrin Porter Rockwell, a friend and bodyguard of Prophet Joseph Smith is remembered for his pledge never to cut his hair and always remain faithful to the Almighty. Porter is an old-timey name, meaning ‘gatekeeper’. The compelling and legendary name, borne by Scottish and Irish saints, is also used by the Mormons, though not extensively. Even Ronan Keating did his bit to popularize this name. Ronan means ‘little seal’. This stylish name, used recently by Jude Law for his son, has experienced a consistent usage in America, including Utah. Rudy is the diminutive of the name Rudolf and means ‘famous wolf’. This classic name, meaning ‘dispenser of provisions’, has ties with modern-day LDS prophets as well. For instance, Spencer W. Kimball, the 12th president of the Church, was known for announcing Priesthood to all worthy males. The name Wallace honors Wallace B. Smith, a Mormon who presided over the Community of Christ. Wallace, meaning ‘foreigner or stranger’, originated from the names given to British people to distinguish them from Anglo-Saxons. This hot and cool English name, meaning ‘brave in war’, has been moving up and down the charts for several years now. It has both, the rustic and cowboy charm of Southern states and the elegance of metropolitan cities. This 19th century’s favorite moniker, meaning ‘noble, nobility’, would make a great alternative to the over popular name Ava. In the Bible, Ada is the name of one of the first girls mentioned in the Book of Genesis. Do you know why Ardeth is so popular among the Mormons? Because it’s the name of the 9th general president of the Young Women’s Organization. This unique name is a form of the name Ardith and means ‘blooming fields’. Ashtyn, a variant of the name Ashton, meaning ‘ash tree place’, is looking good enough to surpass the original. It’s a unisex name, so it’s upon you to decide whom you want to bestow it on. We like Ashtyn more on girls than guys. 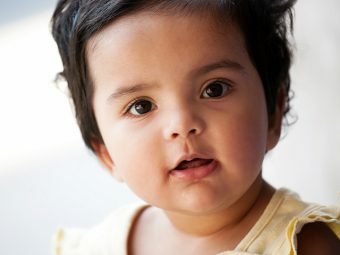 It takes immense courage to pick a vocabulary word as a baby name and make it extremely popular. That’s exactly what the Mormons have done with the name Brighten. Brighten isn’t heard beyond the boundaries of Utah, but it soon can. You just never know. European name Clara, meaning ‘bright or clear’, has surpassed its sleeker cousin Claire on the popularity charts. This name is widely known for its association with the It Girl, Clara Bow. Dinah is a charming, but underused Hebrew name, meaning ‘God will judge’. The rich musical and literary cred would make a vivid name for a southern girl. This attractive and serene Hebrew name, meaning ‘a place of pleasure and delight’, is basically a place name drawn from the Bible. Eliza, the short form of Elizabeth, is best remembered for being the name of Zion’s Poetess, Eliza Sow, the president of the Second Relief Society. The name Eliza means ‘consecrated to God’. This unusual moniker derives from the name of a large region in northern Israel. It’s said that Galilee was the residence of Jesus Christ for over 30 years of his life. Galilee means ‘the province’. Hannah, one of the top used Biblical names has a soft and gentle sound, is homey, but also has a sophisticated image, all thanks to a list of queens tied with this name. Hannah means ‘grace’. This energetic, quirky, and smile inducing name has propelled even higher up the charts ever since Beyonce and Jay Z picked it for their baby girl. In the floral language, Ivy symbolizes faithfulness. Josephine, with a large measure of character, class, and offbeat quality, is a popular name in Utah. 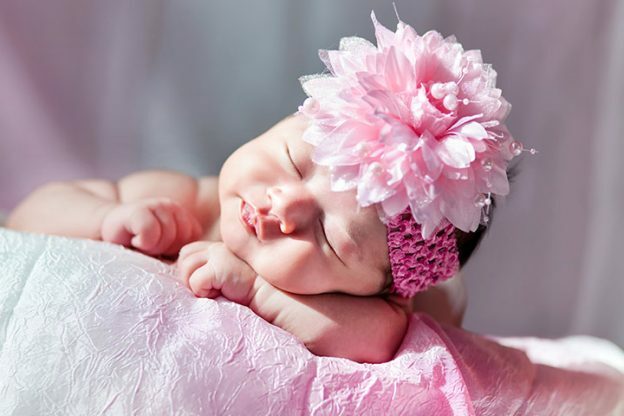 The high number of vivacious nicknames makes it an even more appealing option for your baby girl. Jossilyn, a variant of Jocelyn, meaning ‘member of the Gauts tribe’, has got a new lease of life due to the passion for ‘y’ in girl names among the Mormons. It originated as a masculine name, but later shifted territory due to its soft, feminine sound. Kaidence, the newly introduced version of the rhythmic name Cadence, is ruling the charts already in just three years. The only concern with this name is that it can pose pronunciation problems. Kaidence means ‘rhythm’. Kairi, a Japanese name, meaning ‘sea’, entered the US Social Security Administration list in the year 2010 and continues to move upwards. The name is globally popular because of its association with the female lead in “Kingdom of Hearts”. Madelyn, the most popular spelling of Madeline used in Utah, currently sits pretty on the 62nd spot, which speaks a lot about its popularity. 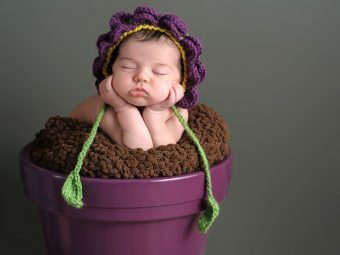 We think Madelyn is the best pick if you want a ‘lyn’ ending name for your daughter. Madelyn means ‘from Magdala’. The Biblical name Martha is also the name of the first female senator of the US. Meaning ‘lady’, Martha was highly used throughout the 20th century, but has started seeing a dip. Payslee, a Mormon variant of the name Paisley, is originally related to the Scottish town and a beautiful Indian fabric. This moniker has experienced a remarkable success story in Utah and is one of the most used names for girls today. Payslee means ‘church or cemetery’. Sariah, the name of Lehi’s wife, is widely regarded as the woman of sacrifice, faith, and resilience. This moniker, presumably a combination of Sarah and Mariah is unique to the Book of Mormon. It means ‘princess of the Lord’. 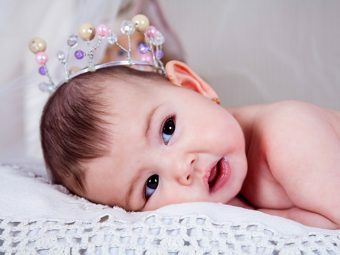 Stephanie, meaning ‘garland or crown’, has experienced more staying power than most of the male names turned female. Even after having a long run of popularity, Stephanie still has several takers today. Tabitha, meaning ‘gazelle’, was originally the name of a woman restored to life by St. Peter in the Old Testament. Trinity, meaning ‘triad’, picked up on the charts after the release of the movie “The Matrix”, where Trinity was the name of the female lead. The euphonic sound and spiritual meaning make it even more special. 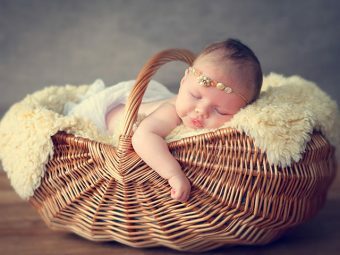 Do you have any Mormon baby names to share with us? Let us know by commenting below.